Pursuant to California Civil Code Section 1789.3, you are advised that the provider of the Website and related service can be contacted via mail at 14553 Delano St Suite 317, Van Nuys, CA 91411, or via e-mail at Admin@TaxRefundLoans.org. No direct charges are imposed by the Website and related service. If you have a complaint with the services provided on the Website or wish to request further information, please contact us at the address set forth herein. If the issue is not resolved to your satisfaction, you may contact the Complaint Assistance Unit of the Division of Consumer Services of the California Department of Consumer Affairs at 1625 North Market Blvd., Suite N 112, Sacramento, California 95834, or by telephone at 1-800-952-5210. Welcome to TaxRefundLoans.org (hereinafter “Company”). The whole of these Terms & Conditions of Use is an Agreement between Company and You (hereinafter “You” and/or “Your”), as the user of this website (hereinafter “Site”) and Company’s services, and governs Your access to and use of this Site. The Site is an online network marketplace. You have the right to receive any document in non-electronic form and to withdraw your consent to electronic delivery at any time by contacting Company by emailing admin@TaxRefundLoans.org. Any dispute arising out of Your access to or use of this Site, or Your use of Company’s services, shall be governed by the laws of the State of California without giving effect to any choice of law or conflict of law rules or provisions. Should a dispute arise out of Your access to or use of this Site, or Your use of Company’s services, Company expressly reserves the option to require You to first submit the dispute for resolution by binding arbitration before the American Arbitration Association in Los Angeles, California, in accordance with the then existing Commercial Arbitration Rules. ALL DISPUTES BETWEEN YOU AND COMPANY WILL BE RESOLVED BY BINDING ARBITRATION. AS A RESULT, YOU WAIVE YOUR RIGHT TO ASSERT OR DEFEND YOUR RIGHTS IN COURT IN FRONT OF A JUDGE OR JURY. YOU ALSO GIVE UP YOUR RIGHT TO PARTICIPATE IN OR BRING CLASS ACTIONS. The arbitrator shall not have the authority to award any damages which exceed the compensatory damages’ actual amount, or the authority to multiply any of the actual damages claimed. Furthermore, the arbitrator shall be prohibited from awarding any incidental, consequential, special, exemplary, or punitive damages; and You waive the right to any claim involving these prohibited damages. Any award rendered shall be final and conclusive, and a judgment thereon may be entered in any court of competent jurisdiction. Company may, in its sole discretion, elect to file an action in any court of competent jurisdiction in Los Angeles County, California, in lieu of and despite the alternative dispute resolution provision contained herein. If You do not wish to be bound by this arbitration clause, You must notify Company in writing within ten (10) days after assenting to the terms herein or Your rejection of arbitration will not be effective. You must send such a request to: TaxRefundLoans.org . Your request must include Your first and last name, email address, the website address of the website You request the opt-out of, Your telephone number and the statement “I reject the arbitration clause stated in Company’s Website Terms and Conditions.” If the alternative dispute resolution provision contained herein is unenforceable or does not apply for any reason, any legal claim arising out of Your access to or use of this Site or Your use of Company’s services must be brought in the federal or state courts located in Los Angeles County, California. Notwithstanding any applicable statute or law to the contrary, You agree that any claim arising out of Your access to or use of this Site, or Your use of Company’s services, must be brought within one (1) year after the cause of action arises, otherwise such claim or cause of action is forever barred. 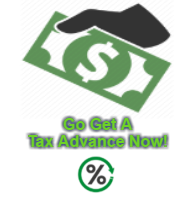 Pursuant to California Civil Code Section 1789.3, you are advised that the provider of the Site and related service is TaxRefundLoans.org and can be contacted via mail at 14553 Delano St Suite 317, Van Nuys, CA 91411 or via e-mail at help@TaxRefundLoans.org. No direct charges are imposed by the Site and related service. If You have a complaint with the services provided on the Site or wish to request further information, please contact us at the address set forth herein. If the issue is not resolved to your satisfaction, you may contact the Complaint Assistance Unit of the Division of Consumer Services of the California Department of Consumer Affairs at 1625 North Market Blvd., Suite N 112, Sacramento, California 95834, or by telephone at 1-800-952-5210.